A few weeks ago I told you about the upcoming Day Out with Thomas: the Go Go Thomas Tour 2013 in South Florida. 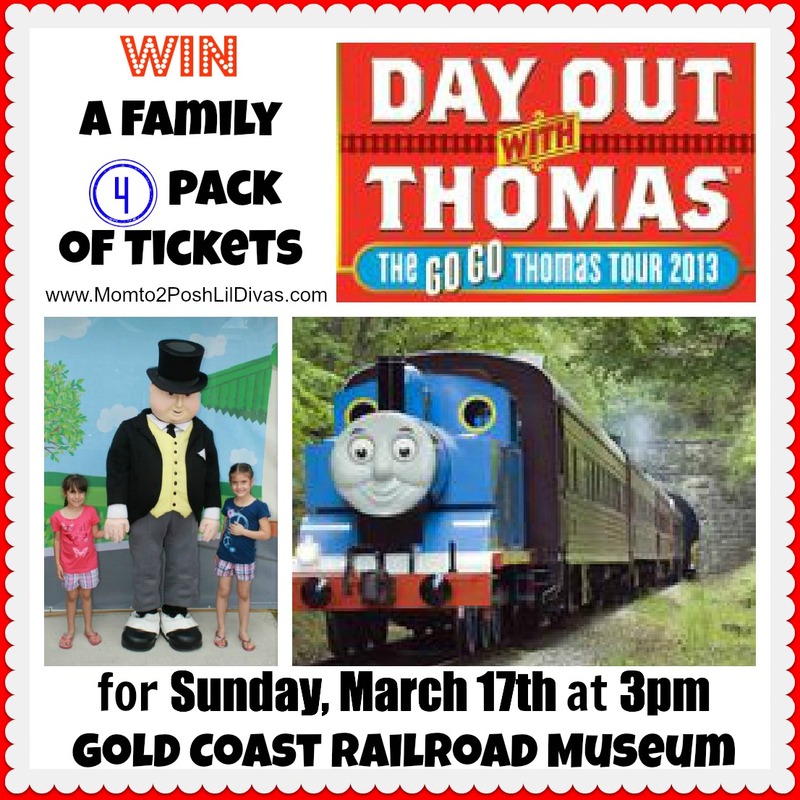 Today, I am super excited to be able to offer my local readers a giveaway for a Family 4 Pack of Tickets to the event being held at the Gold Coast Railroad Museum for Sunday, March 17, 2013 at 3pm. If you're a local reader who's ready for a day filled with Sir Toppam Hatt, a 25-minute ride aboard Thomas the Tank Engine, arts & crafts, storytelling, mini golf, Zoo Miami encounters, live music, face painting and more then use the rafflecopter entry form below to enter for your chance to win a family 4 pack of tickets (valid on Sunday, March 17, 2013 at 3pm only!). 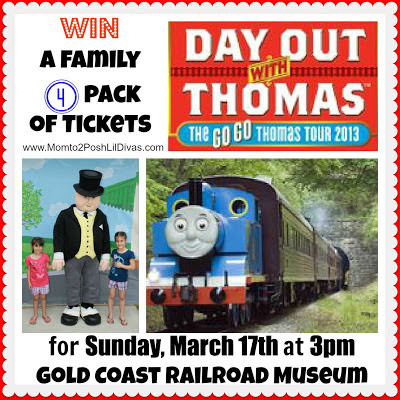 Disclaimer: This giveaway is sponsored by Goldcoast Rainbow Museum and a Day Out with Thomas: The Go Go Thomas Tour 2013. I received promotional items in exchange for sharing this event and my opinions of it. All opinions expressed are my own and are a result of our personal experience. Your experience and thoughts may differ. Oh wow! What a great giveaway for us with a huge Thomas fan at home! Thanks for the opportunity! Thomas is his fave but pearcy isn't too far behind!